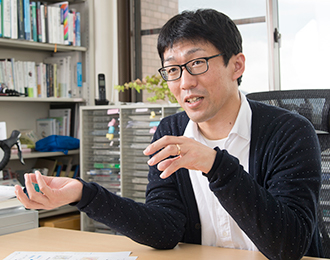 Professor Chikaraishi’s fields of specialization are urban transportation planning and risk management based on activity/travel behavior models. “To list three research categories, the first is research to explore the impacts of infrastructure that forms the foundation of society on economic and cultural activities. My primary interest in this area is modeling activity-travel behavior and, based on this, evaluating the impact of infrastructure on various activities. The second is research on next-generation infrastructure, especially the autonomous decentralized infrastructure services rather than centralized ones. The third is evaluating infrastructure in a form that considers disasters and other emergencies. 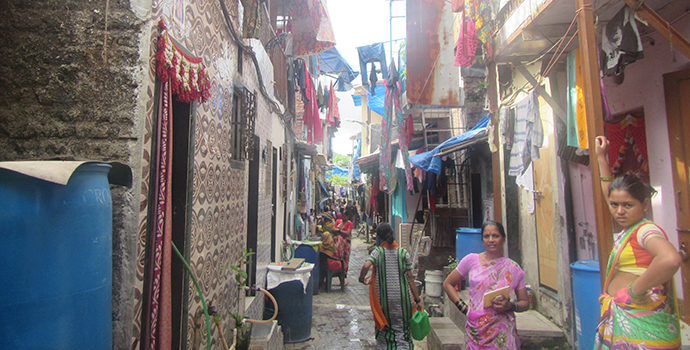 As part of his research, Professor Chikaraishi conducts visits to the town of Iinancho, which is in a depopulated region in Shimane Prefecture, or the informal settlement areas of Mumbai in India. Turning to his research on the informal settlement areas, Chikaraishi said that “Informal settlement areas are illegal, but they build things like medical treatment systems in a bottom-up fashion, and this system, which is not a centralized infrastructure service, itself is interesting to explore” He is searching for new possibilities in the methods for providing infrastructure that differ from the centralized provision of infrastructure. And, although infrastructure evaluations have been criticized due to the inaccurate estimates of the costs and benefits, he argues that this doesn’t mean these infrastructures are not needed. For example, local airports, which had been criticized by mass medias, had played crucial roles in sending necessary goods to affected people and so on soon after the Great East Japan earthquake. This primarily implies that the contribution to disaster risk reduction also needs to be taken into account in the evaluation. 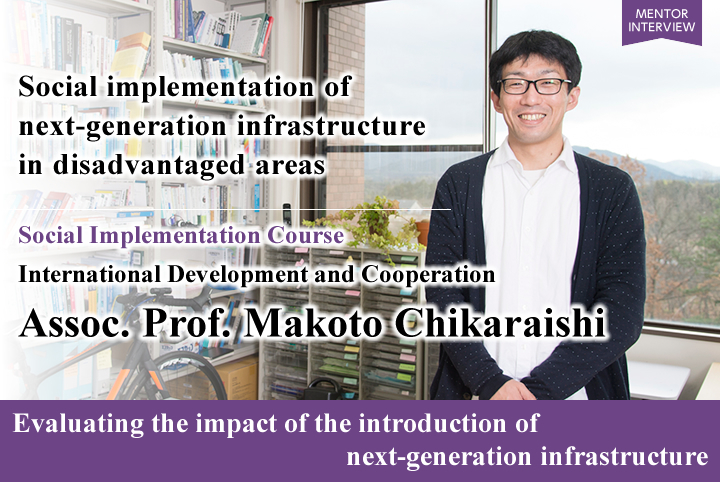 Professor Chikaraishi is responsible for the lecture course, Fundamentals of Survey Methodology, in the Taoyaka Program. In this course, he gives the lectures on the fundamentals of the methods for conducting surveys and on the methods for analyzing data collected by surveys. This course permits Taoyaka students to master the know-how they must acquire to conduct direct on-site interview or questionnaire surveys in developing countries. 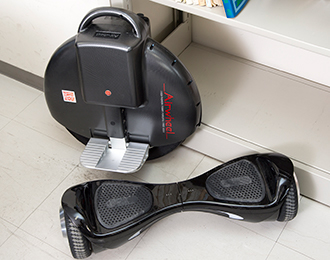 The Professor is also responsible for on-site course rotation and on-site training. He has already visited the Nijo District, Masuda City, Shimane Prefecture, and the informal settlement areas in India. And through on-site training, students spend a week working in groups and taking part in on-site surveying, preparing proposals, and exchanging views with local residents. Followed by the on-site course rotation and on-site training, the third-year students spend a half-year to complete an on-site team project. For example, teams such as the solar panel team that visited Bangladesh seems to be very successful. 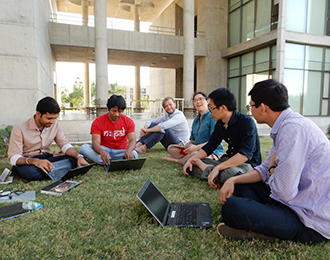 We have had students of technology development work on inexpensive organic solar panels, and students of social implementation conduct research on purchasers, an approach well suited to developing countries. 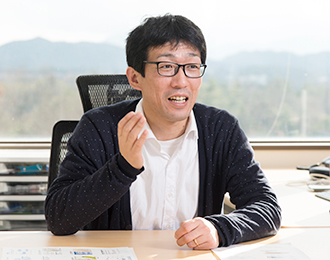 Professor Chikaraishi commented that while not all teams are successful, an on-site experience surely provides them with some permanent benefits. 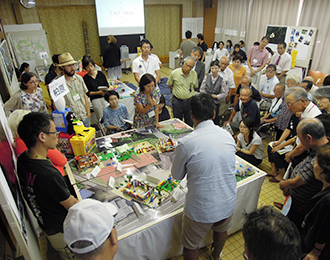 The Taoyaka Program started in 2014. Beginning in April of this year, the students who first joined the program are finally in their last year. Drafting a dissertation that brings together the results of this five-year activities has already begun. He holds the following expectations for the future of this program. “I feel that it is a program that offers ample opportunities for on-site education and provides extremely valuable content. Naturally, it is extremely burdensome to them because they take this course along with their specialization courses. But even so, I think that for students who are enthusiastic, it is worth the effort. It is true that until now, more than half of the participants have been international students. But because it is a rare program that provides the chance to simultaneously experience interdisciplinary and on-site education, I hope that more Japanese students will take part in the program. I am looking forward to the participation of students who are interested in the challenge of multicultural coexistence now facing society, and students who wish to master the methods of linking diverse fields.